Bogota, Colombia is a big city with a population of 9 million people. As a tourist, it can be overwhelming to narrow down what to do during your visit to Colombia’s capital city. Our recommendation is to stay in the Calenderia district, the historical district that caters towards tourists, because of its proximity to our suggestions on things to do in Bogota, Colombia. By far our favourite activity was the Bogota free walking tour so if you’re short on time and only going to do one thing — do that! This was by far my favourite thing we did in Bogota. On this 3-hour “free” walking tour, we were told about the history of significant events in Bogota through stories. At the conclusion of the tour, you can’t help but cheer on the success of this city and country. The bracelet we received at the end of the tour also granted us discounts and freebies at other establishments in the city. 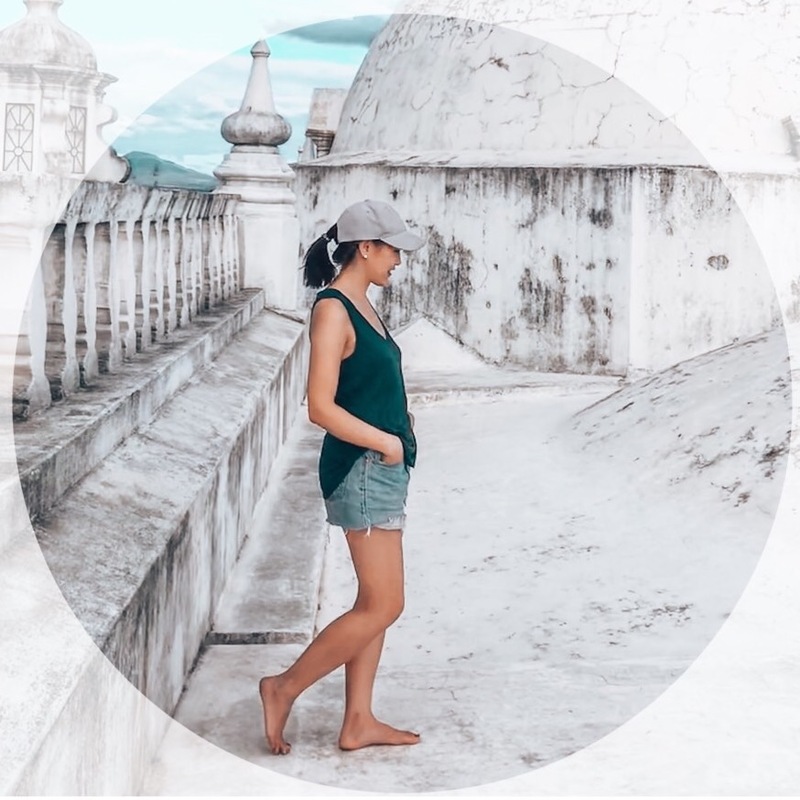 Although this is a “free” walking tour, the guide depends on the generosity of tourisms to fund their work — be sure to bring cash for tips at the end of this tour. 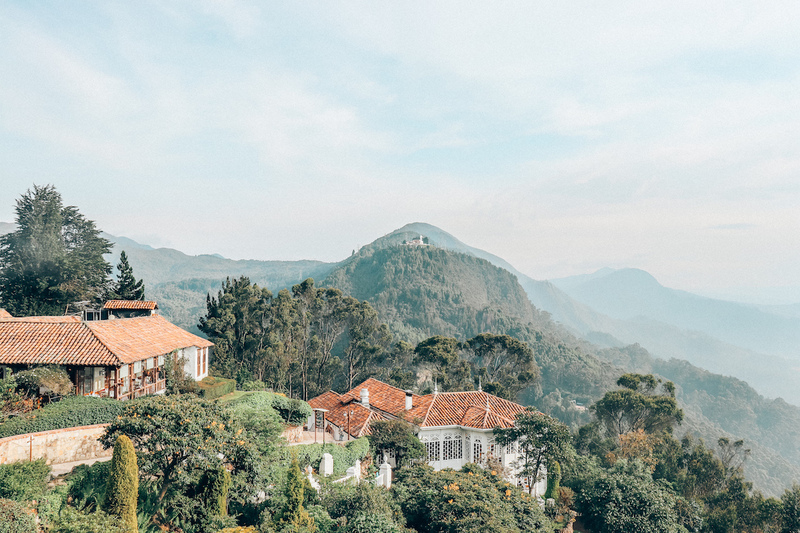 For the best views of Bogota, visit Monserrate, a church at a top of a hill, 3,170m above sea level. To get up you can take the Cable Car or Funacular (train), or hike up. There’s also a small artisan market at the top (selling the usual mix of Colombian souvenirs), two restaurants, and several food stalls. 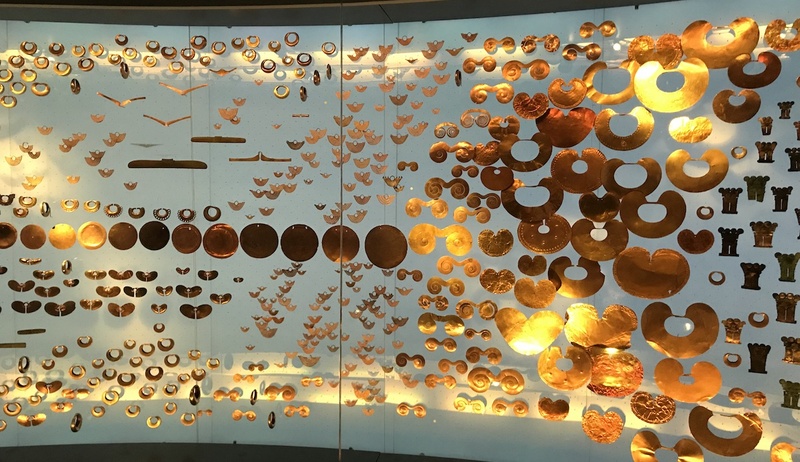 This is Bogotá’s most popular museum which takes you through traditional gold mining and processing methods, as well as through exhibits of ancient gold artifacts. Most of the museum has English translations. The cost is C4,000 pesos / person. 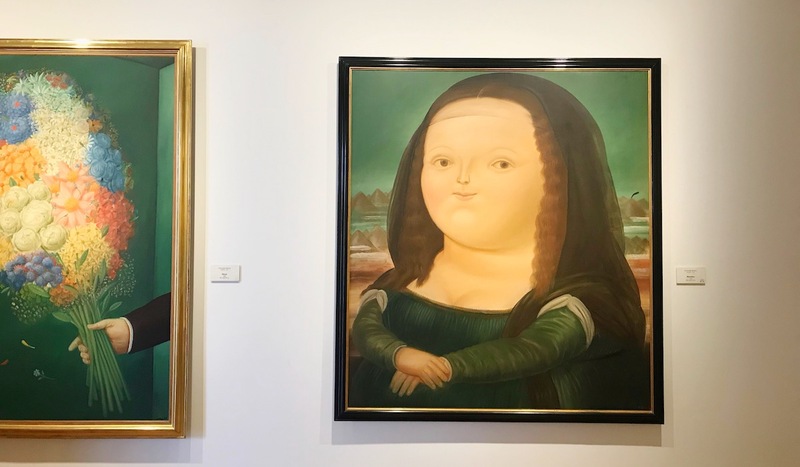 Fernando Botero is Colombia’s most famous artist, known for his sculptures and paintings of disproportion. The museum is filled with his artwork, donated by the artist himself, with the condition that the admission to this museum must always be free so the public can enjoy art at no cost. Within the museum, there are also works by Chagall, Dali, Picasso, Monet and Matisse. 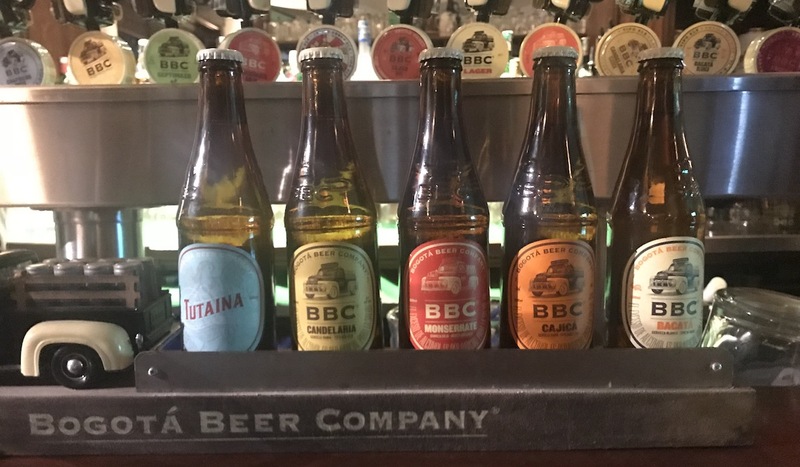 Beer lovers interested in the local craft beer scene need to look no further than the Bogota Beer Company and their cervezas artesanales. Some of their craft beers are even named after regions and neighbourhoods in Bogota including La Candelaria, a Kölsch style beer. 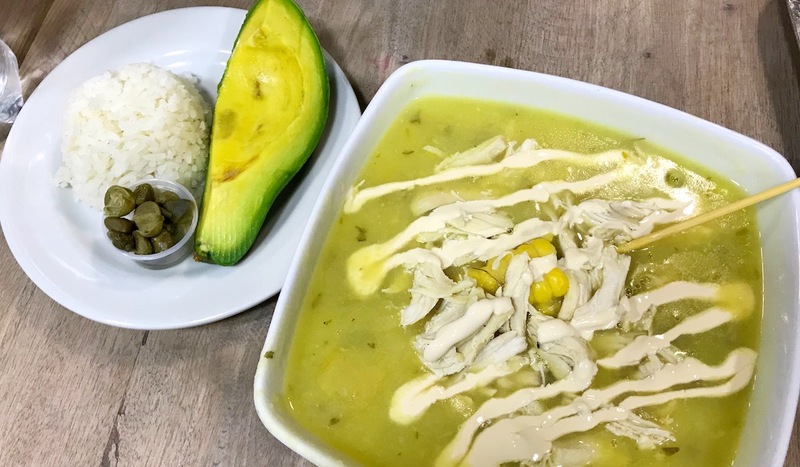 Ajiaco is a chicken and potato soup made with corn and served with rice and avocado. It was perfect for warming up in the chilly Bogota weather. We had our Ajiaco at Balcones de la Candelaria, but we saw several local restaurants advertising this dish. Chica is a fermented corn drink. Interestingly enough, the government tried to abolish chicha with a propoganda campaign. The best street in Bogota to get this is Callejon del Embudo, you’ll find many cafes advertising it on signs. Because of Bogotá’s high elevation, you may feel a bit short of breath your first day in the city as you get used to the altitude. To alleviate the symptoms, try Coca Tea, a popular plant leaf that you can find in many South American countries including Peru and Bolivia. 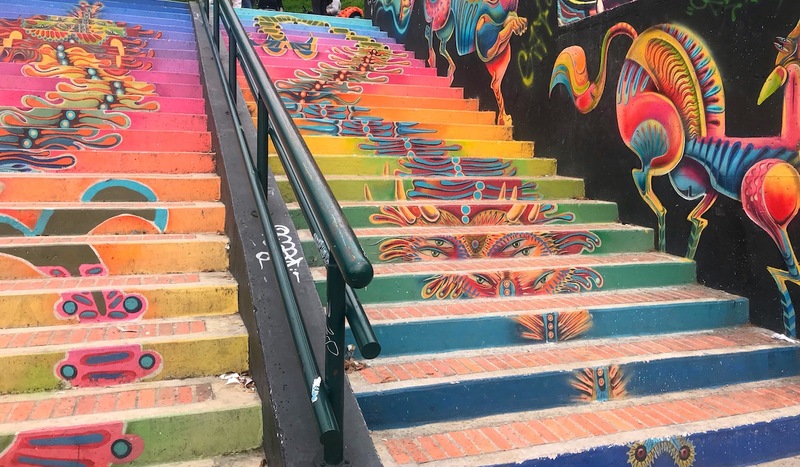 Walk through Bogotá’s Calandria neighbourhood and learn about the stories and significance behind graffiti murals in the city. We went on the “free” graffiti tour, however, we found the tour size quite large — the group we went in had 60(!!) tourists in the group. If you’re looking for a more intimate experience, go for a paid tour with a different company. This is the upscale district of Bogota. If you’re hoping for a fancier, more modern meal, head to this neighbourhood. In the Zone Rosa district, you’ll find many steakhouses and high-end international hotel chains. After two months of travelling, we were most interested in relaxing, hanging out in the city, walking around, rather than going on any daytrips. However, in our research, these are the two most popular day trip options from Bogota. Daytrip to the Salt Museum – Located an hour away from Bogota, the Salt Cathedral of Zipaquirá is an underground Roman Catholic church built within the tunnels of a salt mine 200 metres underground. Daytrip to Lake Guatavita – The beautiful green Lake Guatavita is famous for the Legend of El Dorado. As the story goes, the traditional choosing of the region’s ruler was sailed in a raft to the middle of the lake while covered in honey and gold. Over the year, many items (jewelry, figurines, etc.) made of gold were tossed into the lake, and when the Spanish came to conquer Colombia, they began to extract the riches from the lake. Hi Vanessa, what a great post! You curated lots of great activities I ended doing and I love it!